Chiropractic adjustments aren’t just to give you much-needed pain relief; adjustments can be used to treat stress too. Think about it; when your muscles and joins are even slightly out of alignment, your nervous system takes a beating. And, if your nervous system is out of line, it’s likely that the rest of your body will feel out of line, including your mental stress. It may seem hard to believe that your body’s pain and alignment can affect your mental strength, but it’s true! Once your body is balanced, you will immediately start to feel relief not only physically, but mentally. Once you’re adjusted, you’ll likely be able to handle stress more appropriately too. Whether you’re stuck behind a desk, are on your feet or are behind the wheel all day, regular visits to our chiropractor at Hopkins Health can help you maintain healthy posture and correct unnatural curves in your spine. Unfortunately, our advances in technology has lead many individuals to suffer from bad posture by constantly sitting hunched over a phone or in front of a computer screen. With chiropractic care, you can improve your posture and sustain a stronger back by standing taller. When you are living without pain, there’s no doubt that your mood will enhance. Your body deserves to be balanced at all times, and if it’s not, we don’t blame you for being a little bit cranky. Your body’s entire system needs to be balanced, this includes your body’s chemistry. This means that if your body is suffering from imbalances, including certain chemical imbalances, such as depression, regular chiropractic care can help. Chiropractic care has shown to improve the mood of individuals who have ADHD and depression. Why not try a natural way of healing to give you a moral booster? Your immune system takes a hit whenever your body is imbalanced. By removing subluxations, we’ll enhance your nervous system to work properly. If you’re wondering why your immune system isn’t as strong as it has been in the past, it could be due to your body’s imbalance issues. Your nervous system is in charge of sending and receiving signals which works hand-in-hand with your immune system. When your body is off-kilter, you’re likely your own worst enemy and your immune system can tank. With regular adjustments from our chiropractor, your immune system can start working better and help you recover faster. There are too many individuals in the Unites States who suffer from poor sleep. However, did you know that a lot of these issues are due to body aches, stress and pain? 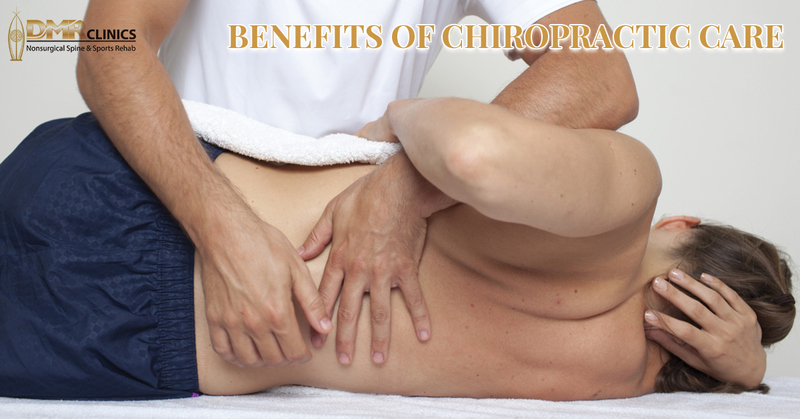 Many of these problems can be easily relieved with the help of chiropractic adjustments. The overall wellness of your body matters. Start taking charge of your body’s health and give our chiropractor in Woodbury a call today. We’re here to improve your health in any way we can. Contact us online now to get started or give us a call at 952-314-1245.